Studies show high risk in responding to both 'disturbance' and domestic calls. 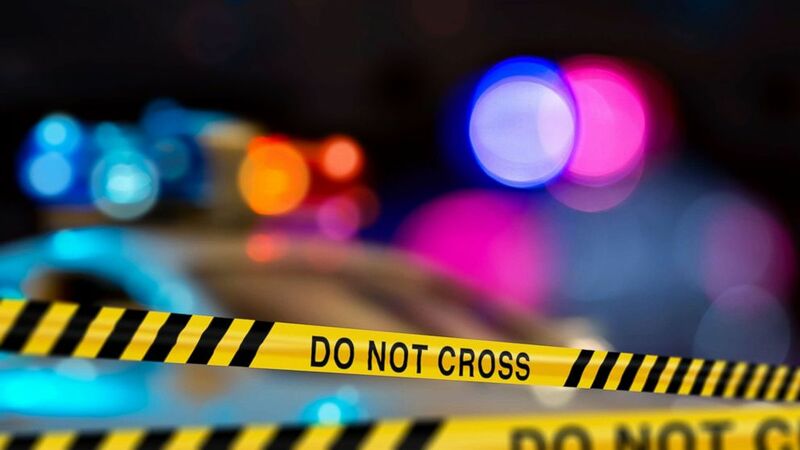 camera (STOCK PHOTO/Getty Images) Police crime scene tape on a city street is pictured in this undated stock photo. One sheriff's deputy outside of Denver was killed and four others shot responding to what officers initially thought was a domestic dispute but which turned out to be a disturbance call. Two civilians were also shot in the incident at an apartment complex in Douglas County, Colorado. None of the six wounded have life-threatening injuries, according to the Douglas County sheriff. Domestic violence incidents are "the most dangerous type of call" for responding law enforcement officers and "disturbance" calls come in second, according to a study by the National Law Enforcement Officers Memorial Fund published in 2016. The five-year study by the National Law Enforcement Officers Memorial Fund was done in conjunction with the U.S. Department of Justice and looked at deaths of law enforcement officers in the line of duty. It reviewed 684 cases with a focus on those in which officers were dispatched by a call for service. Of the 91 cases studied in which officers were killed responding to a dispatched call, 20 of them, or 22 percent, were for a domestic dispute. The second most common type of call resulting in an officer's death, 18 percent, was for a "disturbance," which were generally nonviolent nuisance crimes or complaints such as about drinking in public, noise, indecent exposure or disorderly conduct, the report said. The study of officer deaths in response to dispatched calls looked at "common themes" to better understand the officer response and to identify cues to increase awareness among officers about the dangers posed in handling both disturbance and domestic dispute calls, the report said. It found that in seven, or 35 percent, of the domestic call responses, only one officer was on the scene of the call at the time of the shooting. Similarly, in five of the 16 disturbance calls studied that led to an officer's death, only one officer was dispatched to investigate the complaint, the report said. This does not appear to have been the case in Douglas County on Sunday where four officers arrived at the same time and entered the home of the suspect together, according to the county sheriff. Sheriff Tony Spurlock said the suspect shot all of the officers almost immediately after they arrived in what he called "more of an ambush type of attack." That is apparently not unusual in such cases, according to the study of police fatalities in response to dispatched calls. In three of 16 cases studied in which police were killed responding to a disturbance call, there were "ambushes of the responding officers that were unrelated to the initial call for service." "The calls were not ruses to lure an unsuspecting officer; suspects made tactical decisions to shoot the unsuspecting officers while they were summoned to handle an unrelated matter," the study's authors wrote.